The treatment of respiratory diseases often involves medication being directly applied by means of ultrasonic nebulizers. 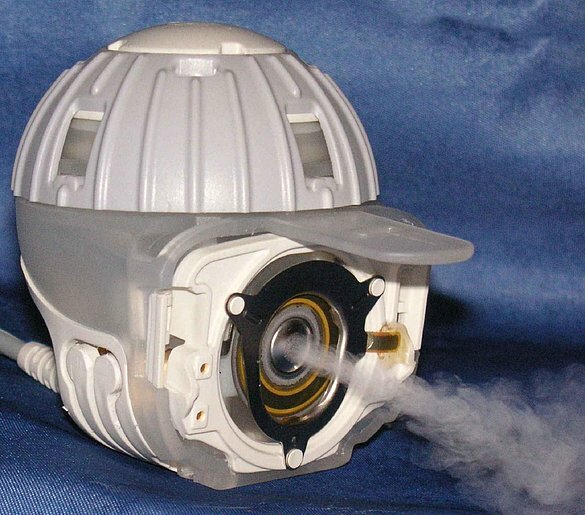 Conventionally, pressurized air atomizes the inhalation solution into minute droplets. An alternative method is to generate minute droplets with the aid of piezo technology. Specially shaped piezo disks act as ultrasonic transducers and excite ultrasonic vibrations in a stainless-steel diaphragm with several thousand holes at frequencies of more than 100 kHz. This produces particularly homogeneous aerosols. This is advantageous for precise dosage – the high-quality drugs can be administered more selectively, allowing access to new therapeutic concepts. The risk of side effects is also diminished. Moreover, piezo technology reduces the time required to atomize medications by up to 50 % compared to conventional systems, which means an increase in the quality of life especially for patients with chronic respiratory diseases. 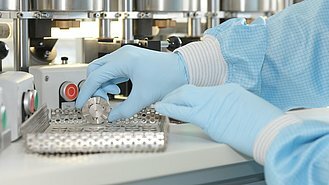 Even the special hygiene requirements which come with medical engineering applications are mastered by piezo ceramics; the aerosol generators are suitable for professional sterilization in autoclaves . The ultrasonic operation is noiseless for humans, and the low power consumption of the piezo component also allows battery operation. 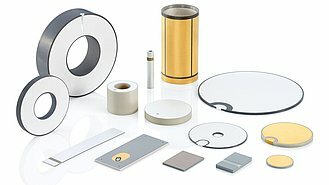 PI Ceramic offers customized OEM solutions for piezo ceramics at the highest technological level and economically optimized.